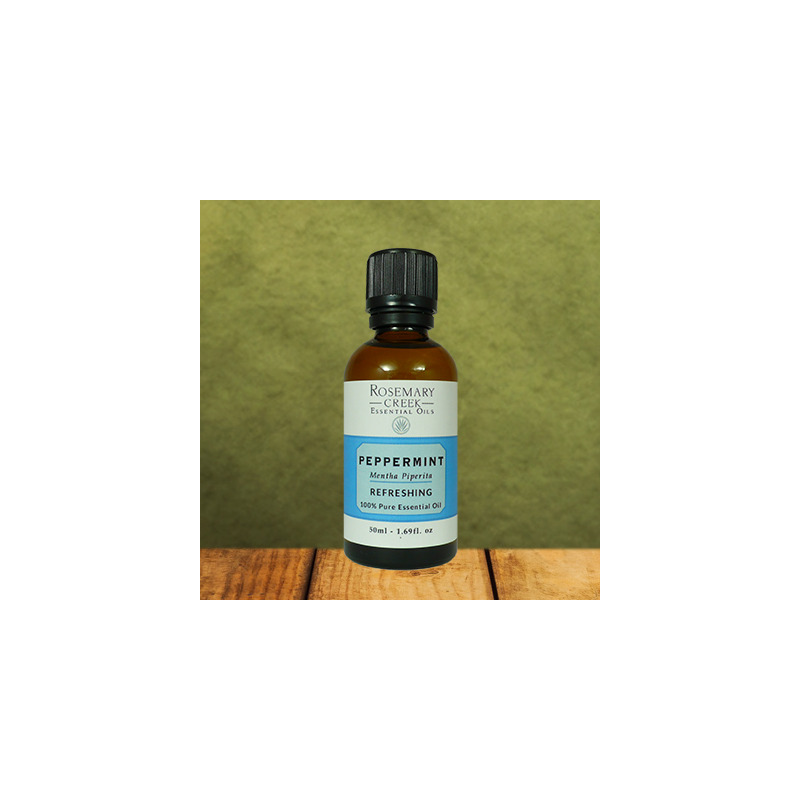 Peppermint essential oil is a multi-purpose essential oil known for its cold, sharp and minty smell. It is used not only for its distinctive aroma, but also for its health benefits. It is effective for respiratory problems, skin problems, stress, pain, digestion, and for genital and circulation problems. 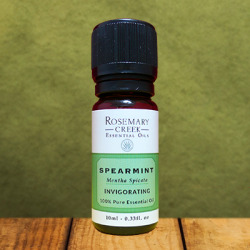 Thanks to its high concentration of menthol, peppermint essential oil is excellent for stimulating body and mind. It has many benefits on the body, on the respiratory system, against pain and to cure skin problems. Our peppermint essential oil comes from Washington State in the United States. Thanks to the weather and its geographical location, Washington is now among the best producers in the world. Along with lavender, peppermint essential oil provides more benefits for human health than any other essential oil. It is absolutely a must-have at home! 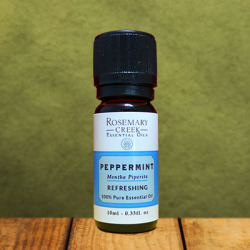 Peppermint essential oil is most effective when used to relieve or treat respiratory problems because it contains menthol and eucalyptol, two anti-inflammatory and antiviral compounds. The complementarity of menthol and eucalyptol makes peppermint essential oil great for treating respiratory tract inflammations such as rhinitis, sinusitis or otitis. Menthol, which is also a decongestant, helps to open respiratory tracts and sinuses. Peppermint essential oil can be used to reduce asthma, bronchitis and stuffy nose symptoms. Thanks to the menthol and eucalyptol anti-inflammatory effects, peppermint essential oil proves to be an excellent pain reliever. Menthol has the ability to act on several sensitivity receptors, including pain and cold sensation receptors. By chemically acting on them, menthol reduces sensitivity by anesthetizing the concerned area. Menthol also triggers the sensation of cold by acting on the cold-sensitive receptors located in the skin and the rest of the body. Peppermint essential oil can be used, in gel or cream, as a local anesthetic. It is known for its effectiveness in calming pain from rheumatism, osteoarthritis, joint and muscle pain, migraines and headaches. Peppermint essential oil is used in many cosmetics and body creams for its anti-inflammatory, anti-bacterial and antipruritic (calms itching) properties. It is an important ingredient in creams made to treat skin infections and inflammations such as acne, eczema, urticaria, shingles, herpes, insect bites, etc. Thanks to the calming effect of menthol, it is possible to use peppermint essential oil in anti-dandruff shampoos and sunscreens. Peppermint essential oil has the surprising quality of being a good mind stimulant. It is used, in diffusion or inhalation, for psycho-emotional, psychological, stress, depression and overwork burnout and exhaustion, problems. It is also excellent for increasing the concentration and helping the intellectual effort. Peppermint essential oil can be used to calm many digestive problems. This essential oil provides a relaxing effect on the intestines. Intestines relaxation favors the intestinal transit, reduces colon spasms, and thus reduces the stomach swellings and aerophagia problems. 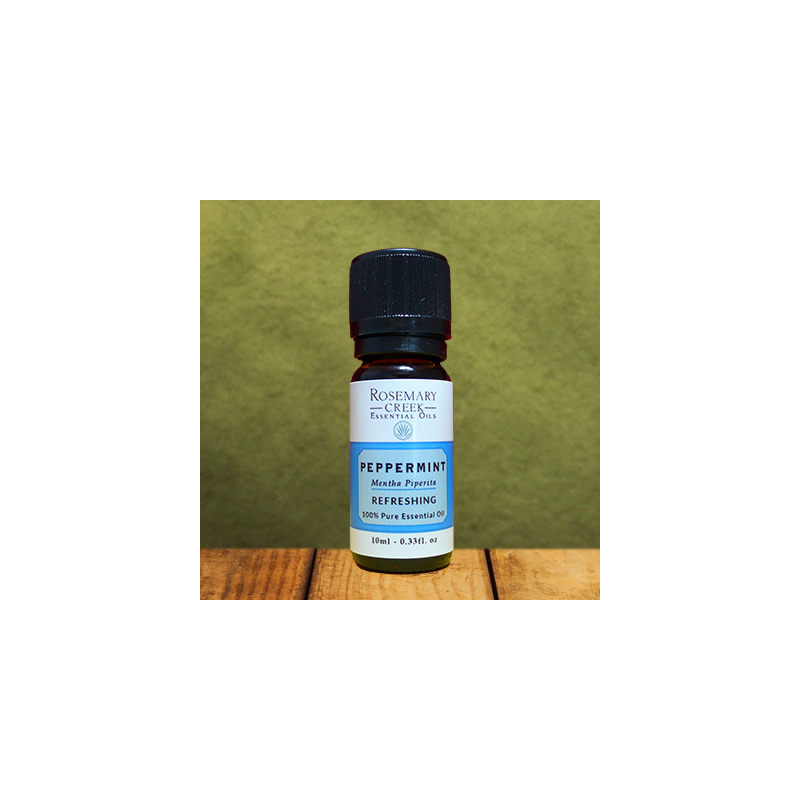 Peppermint essential oil has the ability to improve blood circulation and can therefore relieve heavy and swollen legs, low tension and headaches problems. Peppermint essential oil brings excellent results in the treatment of uro-genital infections. It is recommended as a prostate decongestant and to relieve painful menstruation. Thanks to the menthone, a natural insecticide, peppermint essential oil is very effective for keeping bugs away. It can be incorporated into homemade preparations to eliminate ants and lice. Peppermint essential oil is known for its unique, cold, refreshing and minty smell. It is almost indispensable in our everyday life by entering into the preparation of many products such as toothpastes, chewing gums, candies, candles, etc. In diffusion or inhalation, strongly dilute the essential oil in water (5% maximum). Peppermint essential oil mixes very well with lavender, rosemary, rose, citrus and frankincense essential oils. 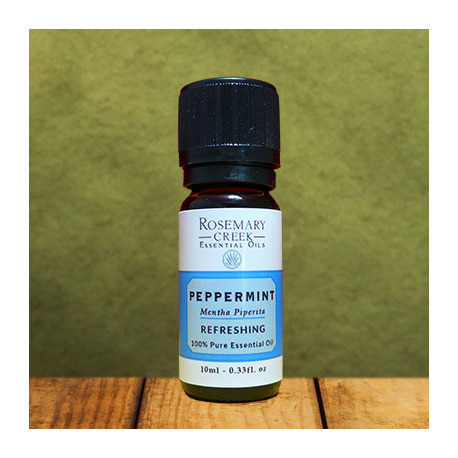 As it contains a large amount of menthol, the essential oil of peppermint can be irritating and too refreshing for the skin if used in a too large quantity. Never use undiluted. 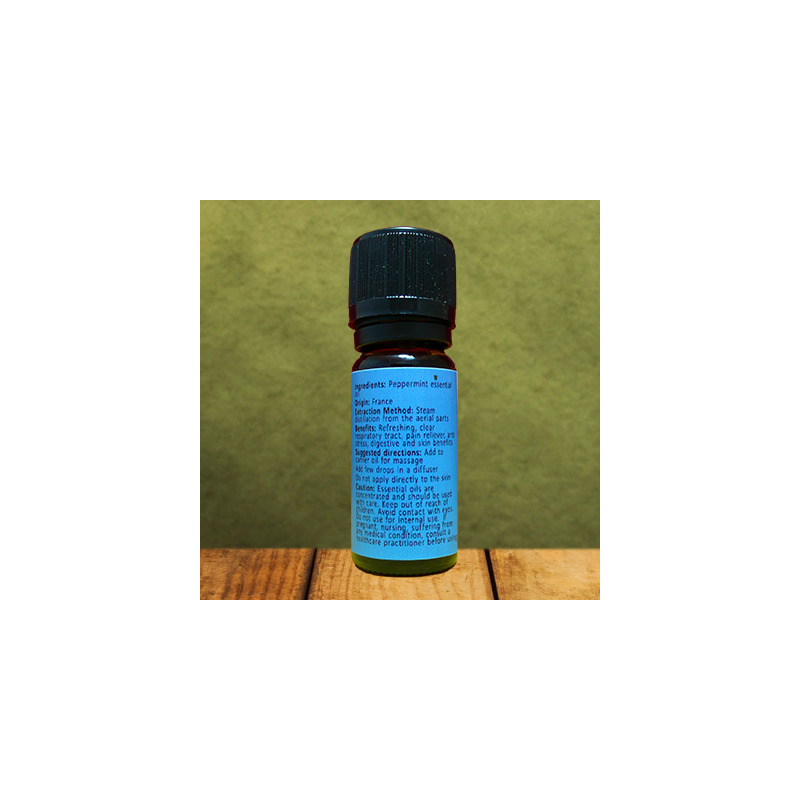 For humans, the absorption of large doses of peppermint essential oil can be staggering. Do not use if pregnant, nursing, epileptic, elderly and for children under 6 years of age. If suffering from any medical condition, consult a healthcare practitioner before using.